Parts of the US Virgin islands are dealing with some extremely dry conditions. The Virgin Islands Fire Service has issued a burn warning. It went into effect on April 4th. It was the Virgin Islands Fire Service Director who said that this ban prohibits all outdoor burning. 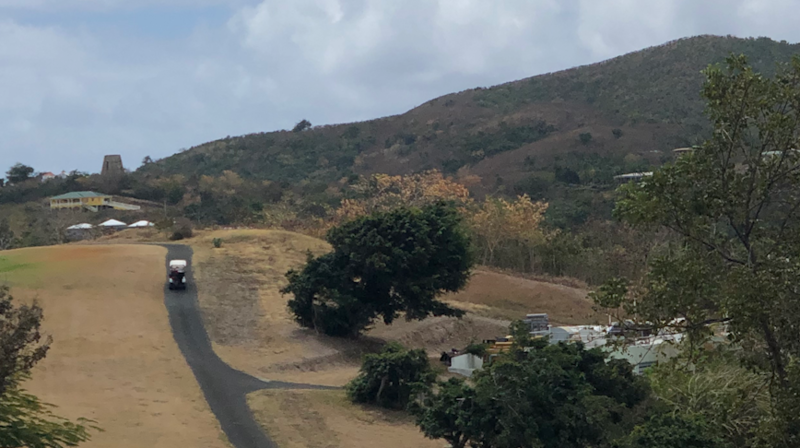 It was issued by the Director because of the dry weather conditions which of course have an increased risk of brush fires and we saw some areas in St. Croix where people were still golfing despite the dry conditions. There was some rain in St. Croix on Monday morning late in the morning but still the rain was just very short lived so people of course are just being asked to be mindful about what they do. In St. Thomas kind of a different scene but we wanted to keep you updated with that recent warning that came out and we will be following any new advisories that come our way. And again that ban is still in effect until further notice.